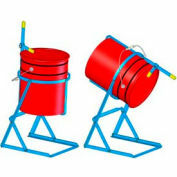 Easy to use Machine Compacts Drum Contents. 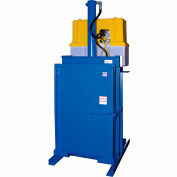 The manual Trash Compactor is designed for compacting the contents of 30 gallon drums. 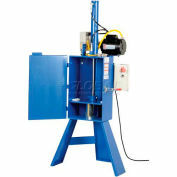 Manually operated ratcheting mechanism generates up to 7000 lbs. of compacting force. 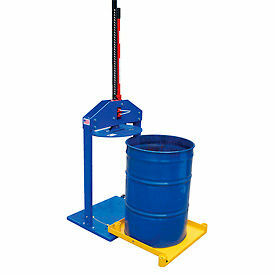 Ratchet lever retracts the compacting plate and is secured in the "up" position with a locking pin. Compacting plate direction is easily adjusted with selector levers. Compactor includes two wheels for tilt-and-roll portability when empty. 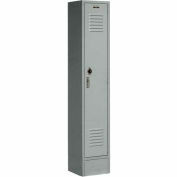 Rugged steel construction features a durable blue powder coat finish. Assembles easily.